Secure Cloud, IPv6, HTTP, HTTPS, SFTP, FTP, FTPS, TFTP, Active Directory integration, ADy. It offers all the standard SFTP/FTP/... server features, as well as user specific transfer limits, virtual directories, enterprise extensions and more. Cleanup of logging procedures. Improved update routine to only show whats new from previous version. 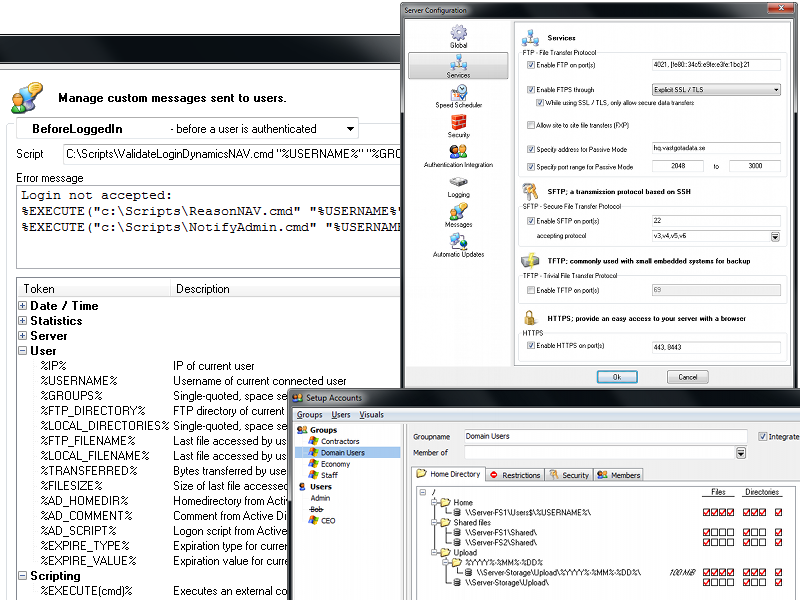 Fixed resource management while using Authentication Integration and administration privileges. Fixed issue with trying to activate IPv6 listening on systems only supporting IPv4. And more! webcamXP offers unique features and unequaled ease of use to let you broadcast / manage your video sources or secure your company with up to 10 video sources per computer. SMTP proxy spam filter that acts between the internet and your mail server. Incoming mail is accepted from the open internet, checked for spam, and is then delivered to your existing SMTP mail server.